Raising a child can be the most rewarding and challenging job we will ever be called upon to do. And, as the African proverb says, “It takes a village to raise a child.” Parents often feel alone, overwhelmed, exhausted, helpless and inadequate in their role. But it doesn’t have to be that way. Together, we can address your child’s emotional struggles and the impact they have on you as a mom or a dad, helping you feel supported and empowered in your vital role. 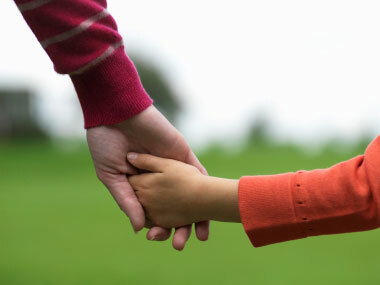 At Colorado Play Therapy my goal is to ensure that parents are receiving compassionate support and guidance. Here, parents can bring forth any and all issues they are experiencing internally and in relationship to their child(ren). I provide an open, caring space for parents to work through the issues that are posing obstacles to the relationships with their children and beyond. With my extensive background in child development and child psychology, I am passionate about educating parents on their children’s behavior and emotional processes. Together we can restore balance and understanding back into your family. Please see my Programs page for upcoming workshops, parenting groups, talks and events. These groups are an invaluable place to receive further support and validation from other parents who experience successes and challenges similar to and different from your own.